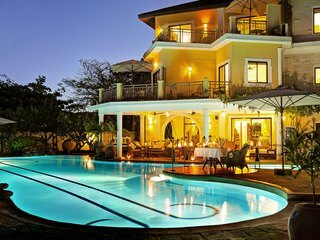 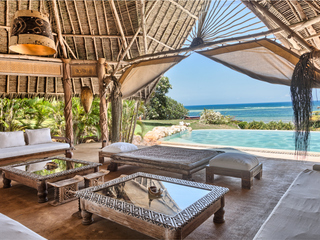 The exclusive Alfajiri Villas occupy an unbeatable location on Diani Beach, about ninety minutes’ drive south of Mombasa, east Kenya. 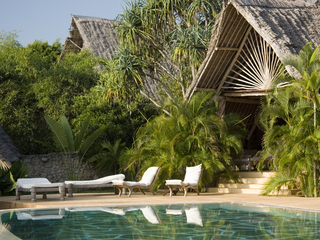 Tucked into coral cliffs, these sumptuous private villas are just steps away from the sea, with unparalleled views out across the Indian Ocean. 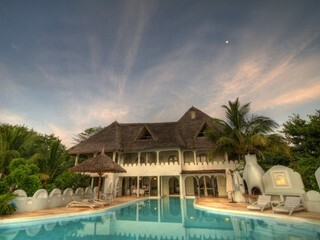 Facing directly east, the spectacular sunrises give the villas their name, which means 'dawn' in Swahili. 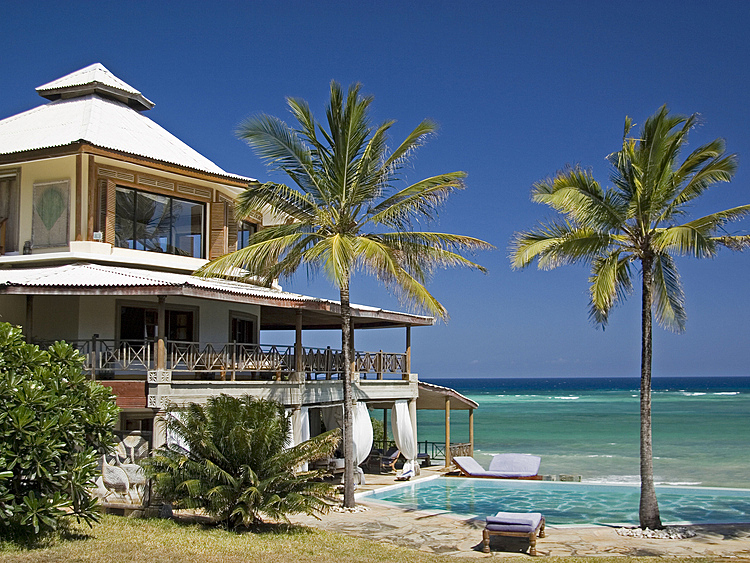 There are three separate villas along the shoreline. 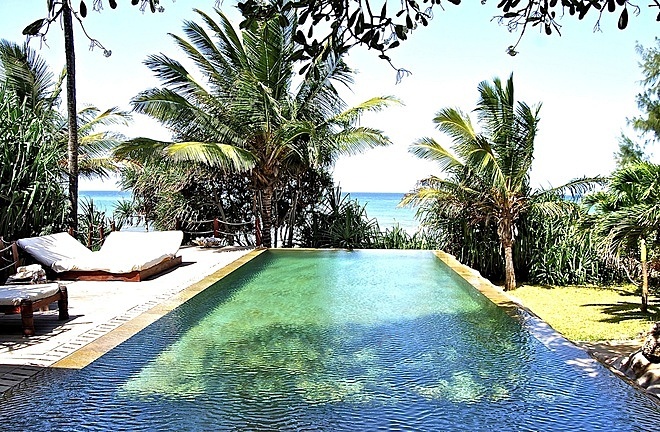 The properties vary somewhat in size and style, but all are beautifully decorated, featuring infinity pools looking out to the ocean horizon and excellent 24-hour service. 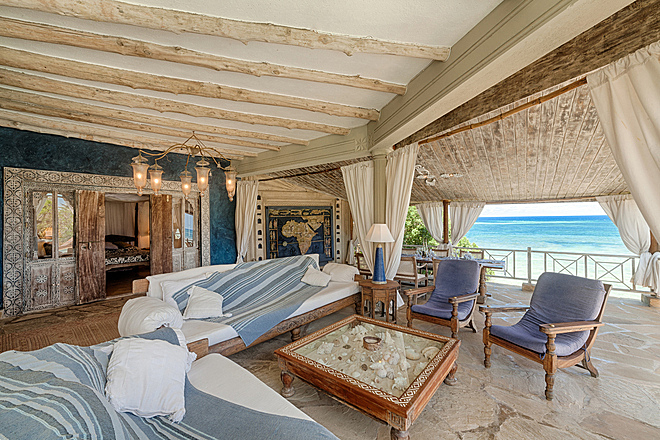 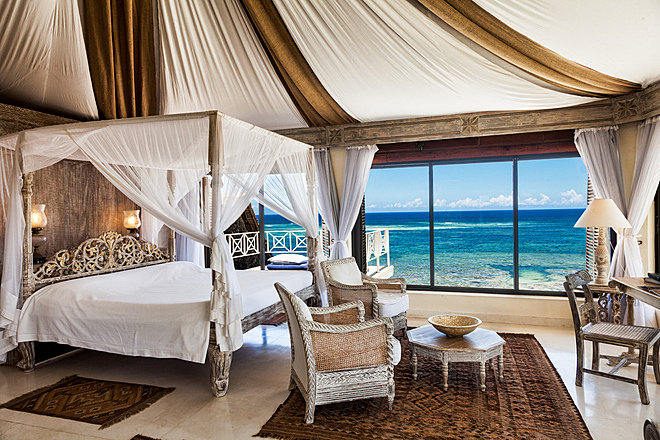 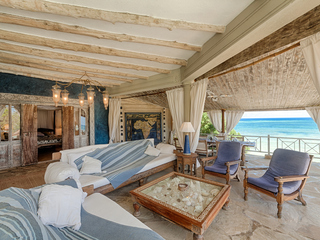 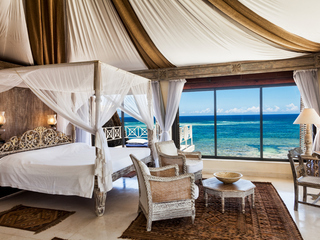 Cliff Villa is bright and breezy, with exquisite fabrics and a relaxed, elegant feel. 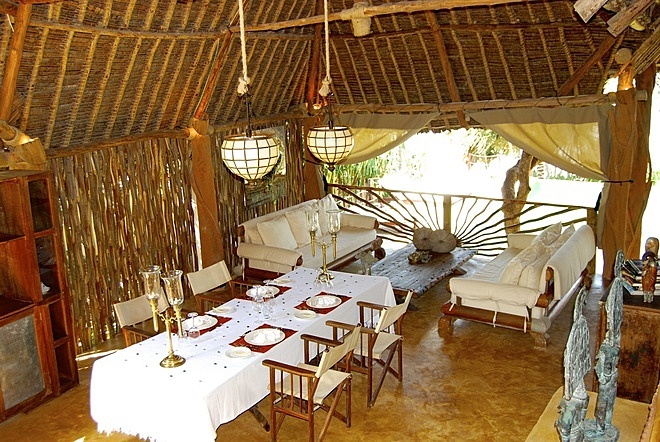 The large veranda features hand-carved sofas and a dining area. 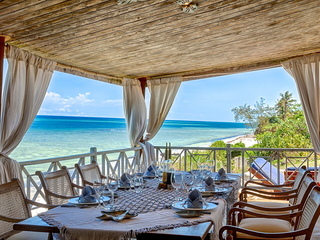 There are four bedrooms including a twin on the ground floor, two doubles on the first, and the Turret Suite at the top, which boasts 270° views of the sea. 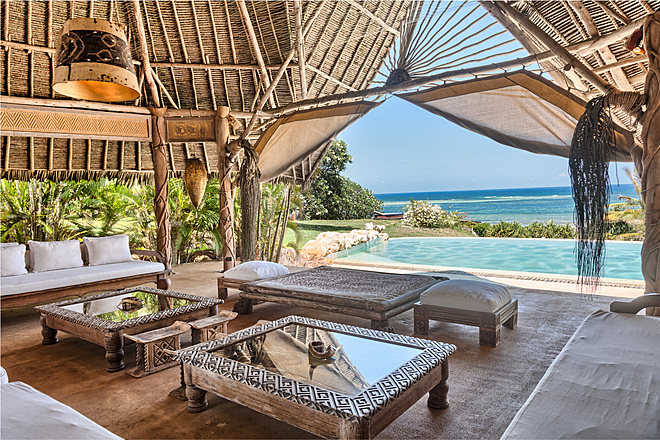 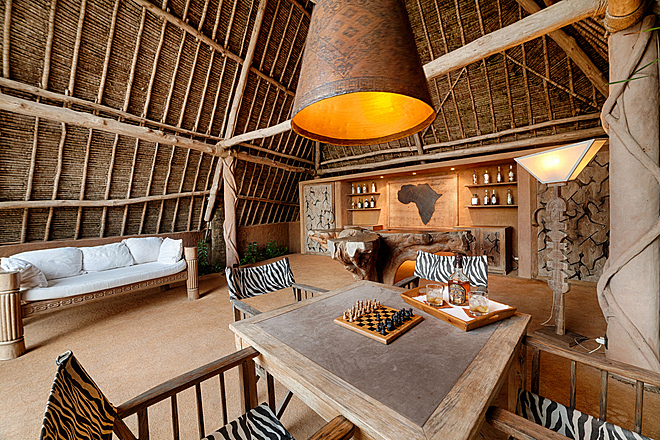 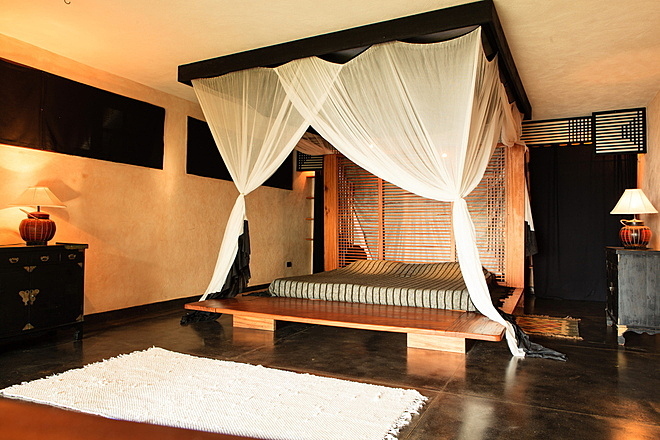 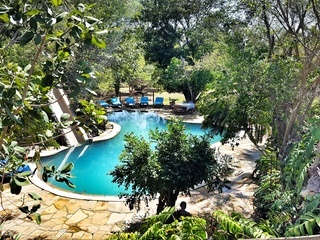 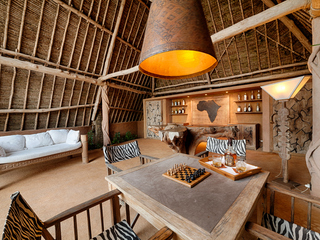 In contrast, Garden Villa is distinctly more East African in style with a spacious veranda beneath a makuti roof, and cultural artefacts and fittings. 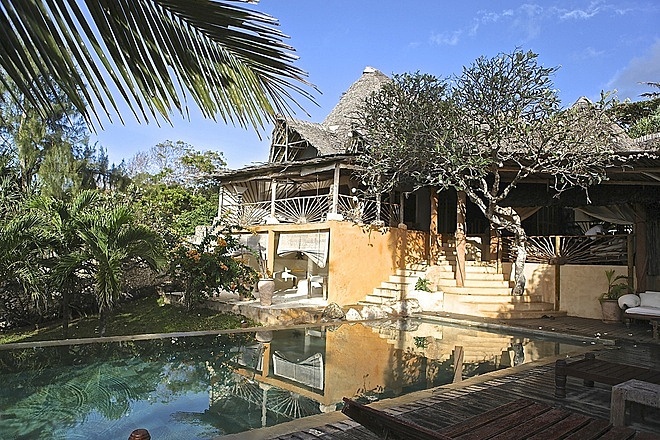 This villa is enclosed by lush gardens, lending it privacy and seclusion. 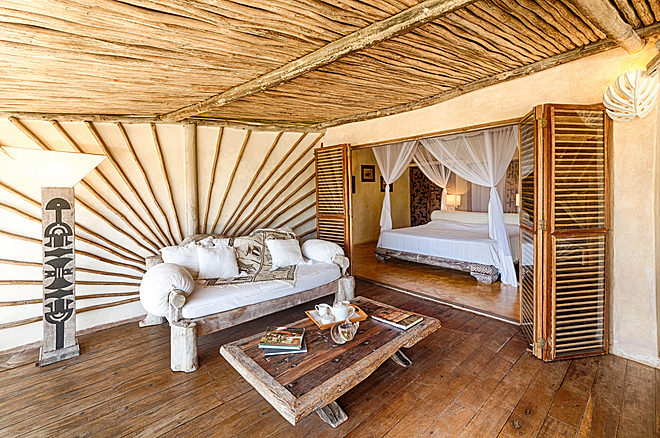 It houses four luxuriously-appointed double rooms, each with their own bathrooms and is perfect for four couples travelling together. 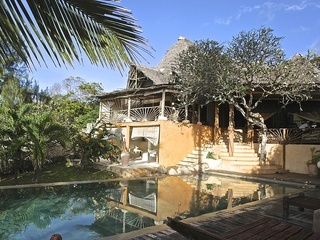 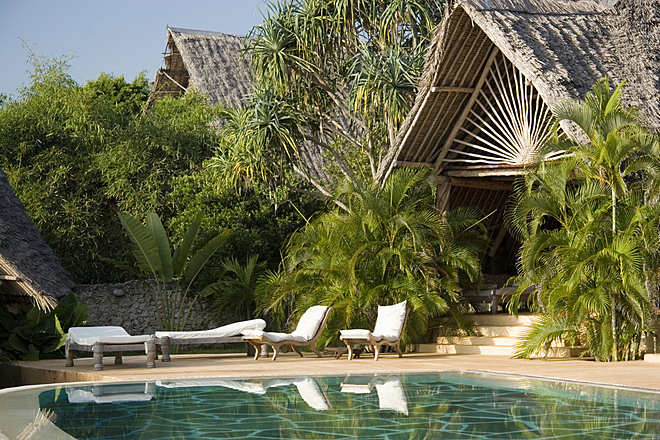 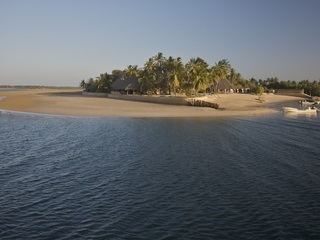 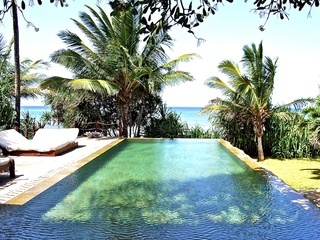 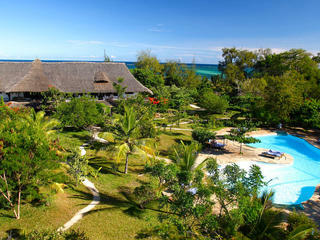 Beach Villa is similar to Garden Villa, fringed with palms, and with a high makuti roof, and adobe walls. 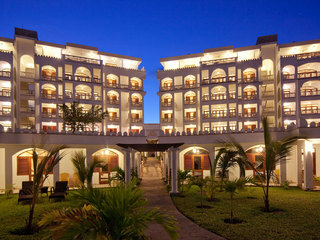 The ground floor houses two double rooms, and on the first floor there’s a twin and a double; note that only three of Beach Villa’s four rooms have air conditioning. 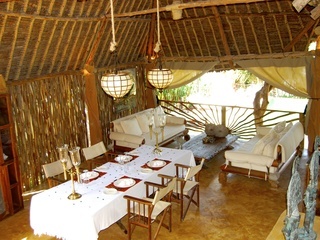 A la carte meals are served al fresco or indoors within the villas. 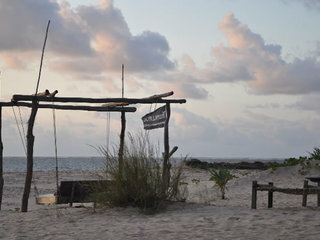 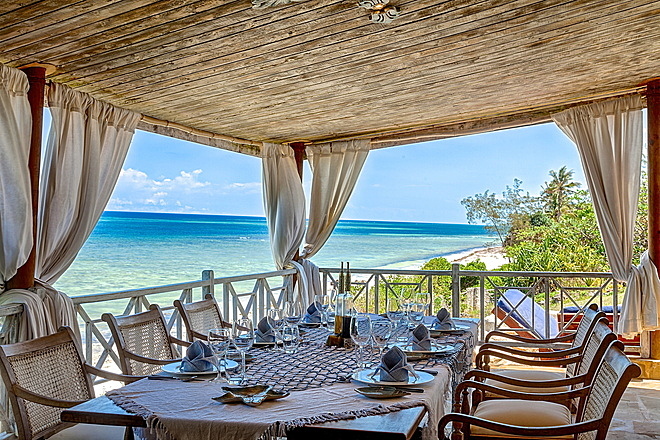 The food is superb, consisting of fresh seafood from the beach and produce from local farms. 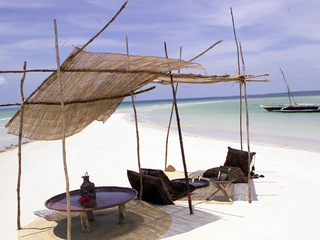 There’s a really good range of activities to enjoy from snorkelling on the coral reef, to visits to an orphanage and local villages in the Diani Beach area. 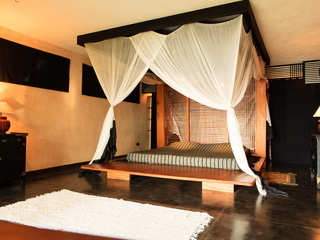 Each villa has its own massage facilities, and use of a gym and sauna is available at a nearby property. 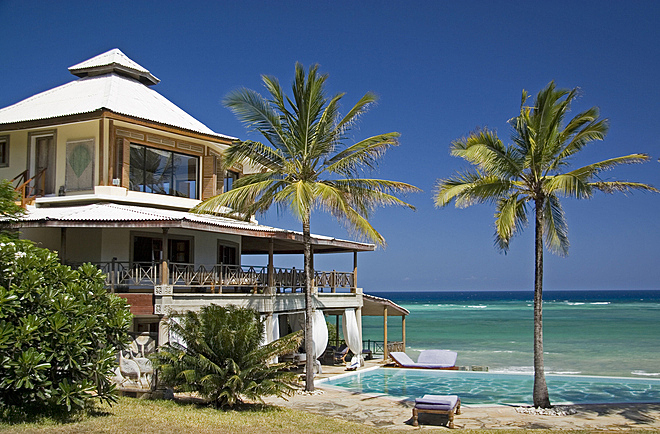 Other activities in and around Diani Beach include diving, deep sea fishing, kite surfing, and lovely excursions by dhow to the Kisite Marine National Park. 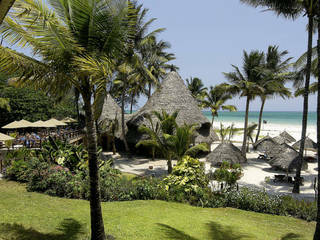 There’s also quad biking in the Shimba Hills, as well as day safaris to Tsavo East National Park. 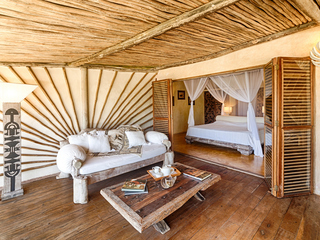 Children are welcome at any of the three properties, although Cliff Villa has an ideal set-up for families, with the rooms differing in size and more flexible bed arrangements. 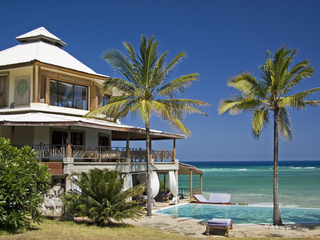 There are no age restrictions, and two English-speaking ayahs (nannies) are available 24 hours a day. 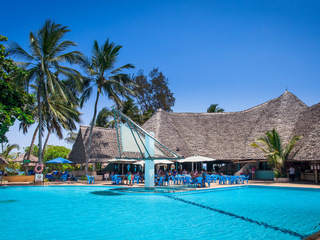 Note that parental supervision is essential at all times since the pool is unfenced and there are no lifeguards on the beach.